Or as low as $183.17 per month over 12 months. Apply Now. 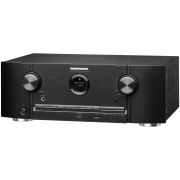 7.2 channel AV Receiver with 100 watts per ch. Or as low as $25.00 per month over 12 months. Apply Now. 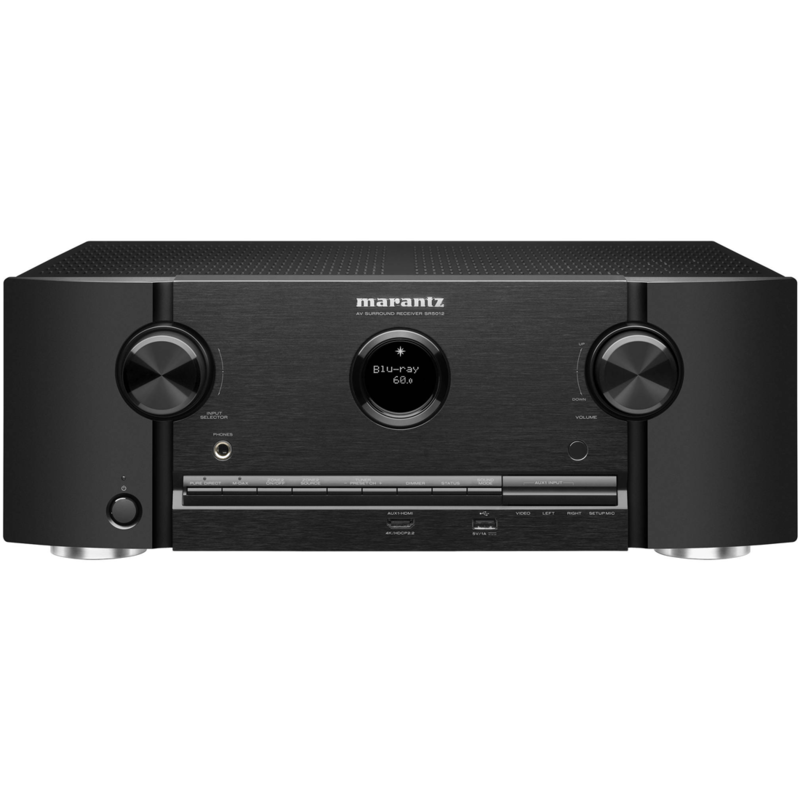 The Marantz SR5012 measures itself fully into the listening room and your loudspeakers using the supplied measuring microphone and adapts perfectly to it. 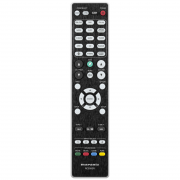 In addition, the receiver plays to the domestic network with internet radio, music services such as spotify-connect and music streaming from the domestic server. You want to listen to music in the kitchen, in the office, in the bedroom? 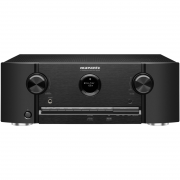 No problem – with the Marantz SR5012 you can realize multiroom / multizone operation with the integrated HEOS module. 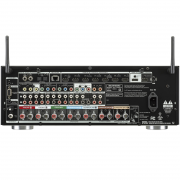 Quad Core DSP, Dolby Atmos 5.1.2, DTS:X, Current Feedback Amplifier Design 100 Watts x 7, Dolby Vision/HLG, Bluetooth/Wi-Fi, ISFccc Certification/Calibration, B,G & N Dual Band Wi-Fi with Dual Antenna with 5G support, Audyssey MultEQ Editor App, HDMI Diagnostics, Multi zone/multi source audio (L/R Preouts or Internal Amp Assign), 12 volt trigger, RC-5 input and output & flasher input, L/R Preouts for connecting an external power amp like the MM7025, Dual subwoofer outputs, 7.1 analog inputs & outputs, 3-year parts & labor warranty. 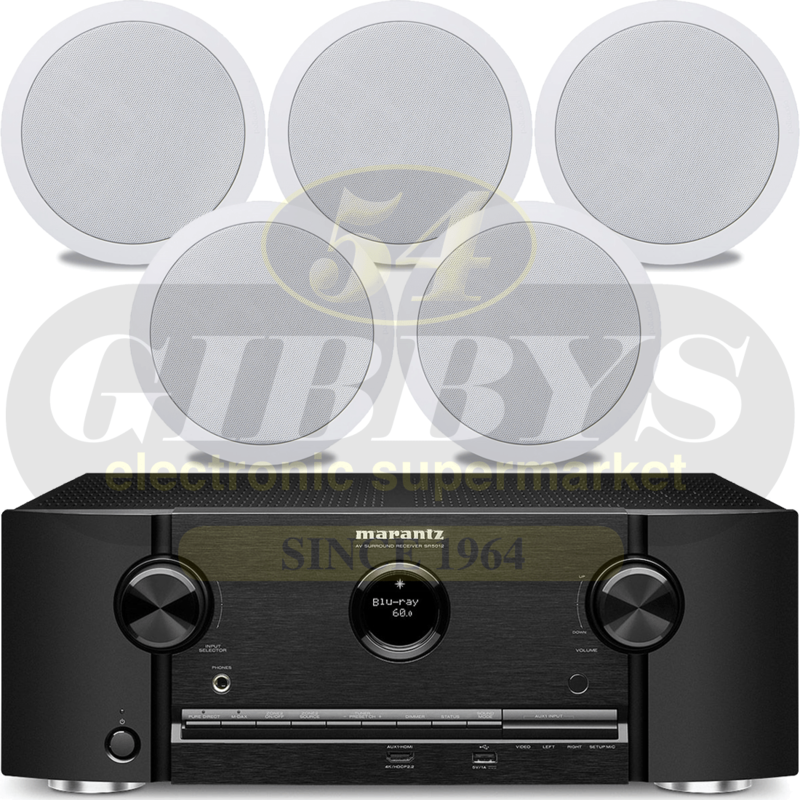 The Marantz SR5012 is superbly finished – the front and the housing are made of metal. The massive front flap covers rarely used controls. 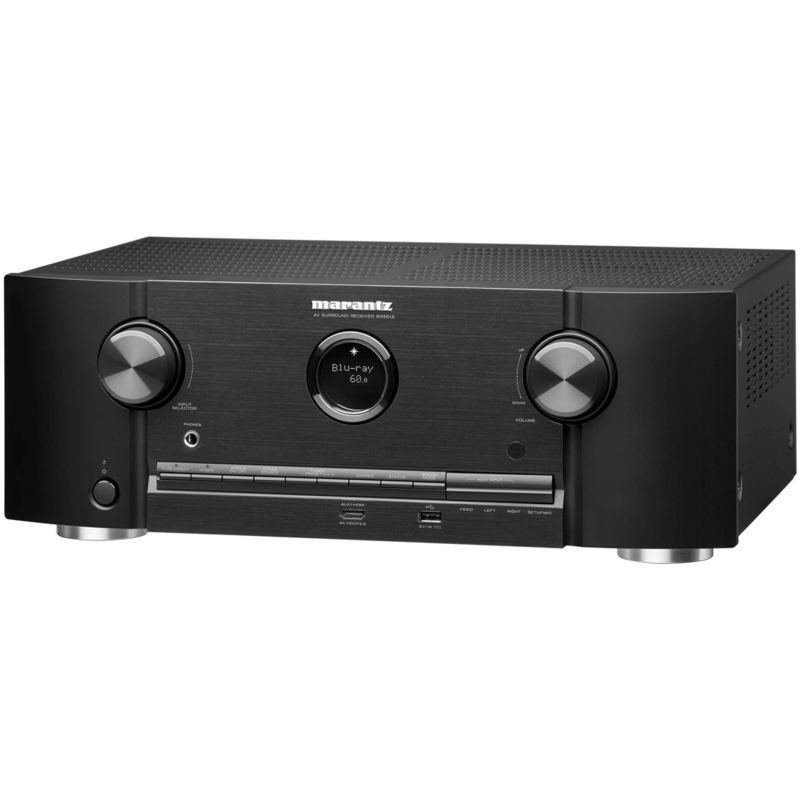 A tidy interior design with cleanly laid wiring ensures the proverbial high long-term stability of the Marantz products. 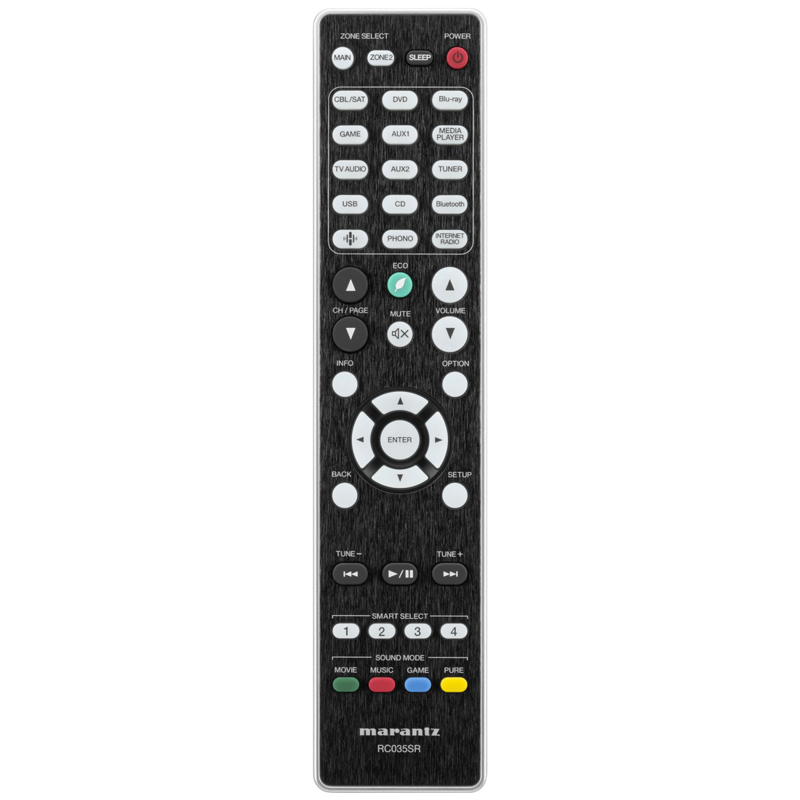 The Marantz SR5012 is a 7.2 receiver and the control center of a modern home theater system. 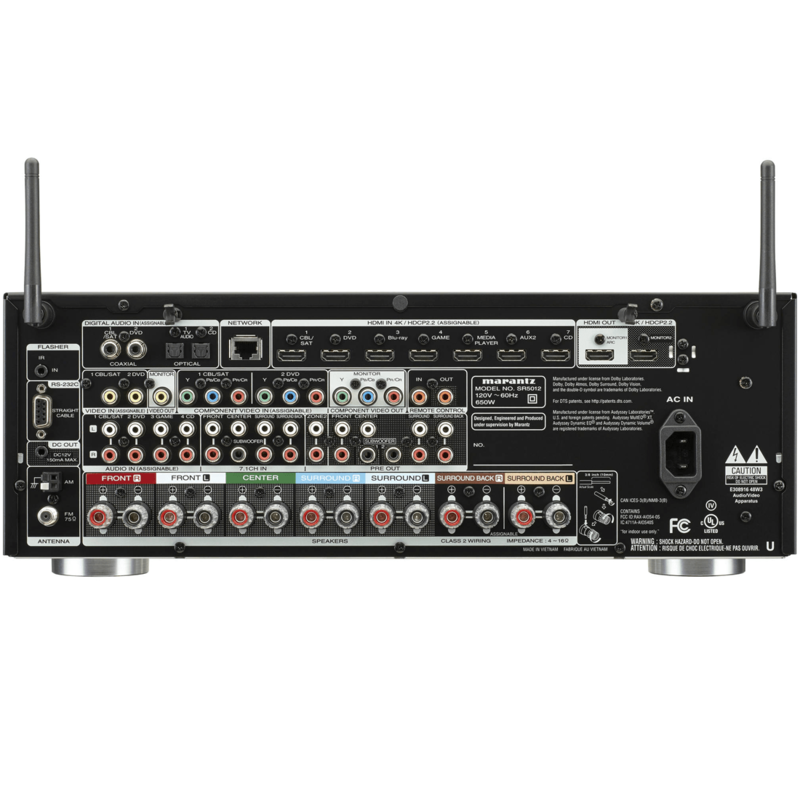 It provides among other things 7 HDMI inputs, one output, 5 analog RCA inputs and a network connection. You connect it to your network via LAN or WLAN. All supplied speaker cables can be connected using high quality screw terminals. At the front, it provides headphone, HDMI and USB ports for music, smartphone and iPod. The Polk Audio MC60 6 1/2″ Speakers take practically invisible in-ceiling sound practically anywhere in your home, including the bathroom and transitional spaces like porches and sunrooms. 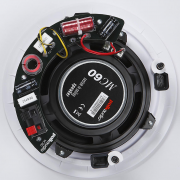 The MC60 is easy to install, and with a 6 1/2-inch midwoofer and 3/4-inch aimable silk dome tweeter, the compact, basic MC60 delivers surprising performance without costing a bundle. Experience rich, engaging sound from speakers that disappear into your room. Polk Audio MC60 speakers, sold individually, install flush in your ceiling for a sleek, attractive look. The 3/4″ tweeter lets you aim the high frequencies for the clearest sound in your room. 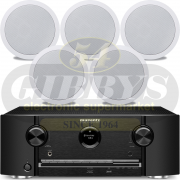 The 6-1/2″ woofer provides smooth bass and mid-bass. And this speaker’s moisture-resistant design means you can enjoy it in your kitchen, bathroom, sauna, or even outdoors, installed under the eaves. Install a pair of the Polk Audio MC60s for stereo music listening. These speakers can also work as the fronts, center, and surrounds in a surround sound system. The Polk Audio MC60s are voice-matched with the other MC in-wall and in-ceiling speakers, so you can mix and match. The Polk Audio MC Series in-wall/in-ceiling loudspeakers offer great built-in sound for multi-room listening. The MC Series features Dynamic Balance driver technology, an aimable tweeter, and polymer cone woofers, which ensures your music always sounds crisp and clear. The MC Series also uses infinite baffle tuning for excellent bass response, so you can install them in virtually any kind of wall. Laser imaging technology allows Polk Audio engineers to see the entire vibrating surface of a driver and tweeter; they can actually see the resonance develop on the speaker cones-resonance that is the root cause of loudspeaker distortion. Being able to see the resonance develop, they then determine the Dynamic Balance of high-tech materials, geometry and construction that together effectively tune out the offending resonance. Exclusive Dynamic Balance Composite Material Technology delivers sound that is effortlessly clean and clear, even at lifelike volume levels. 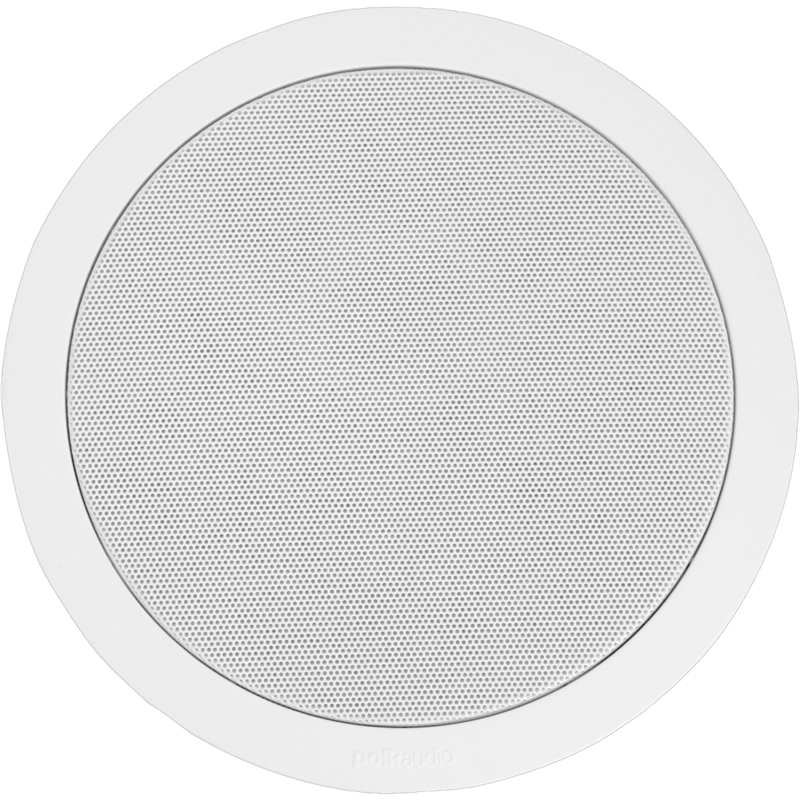 The Polk Audio MC60 in-ceiling speaker features a 6-1/2″ Dynamic Balance Polymer Composite Cone for smooth wide-range response with low distortion. The polymer composite cone provides excellent damping and bass response while resisting deterioration. 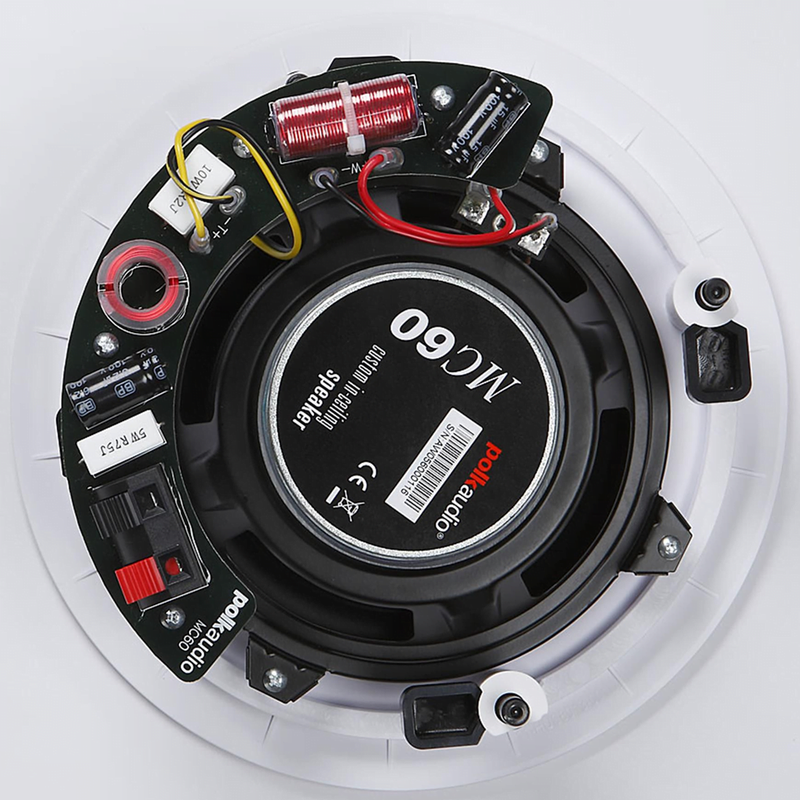 For a smoother response and improved durability, each woofer uses a rubber surround. The MC60 in-ceiling speaker uses a 3/4″ aimable silk dome tweeter with neodymium magnet for clear, detailed highs and excellent imaging even for off-axis listening positions. Aiming the tweeter toward your listening position improves imaging and detail. Infinite Baffle Tuning uses the virtual enclosure of in-wall/in-ceiling space for superior bass response. The MC Series speakers are timbre matched to Polk Audio’s freestanding speakers, such as the Polk Monitor, TSi, and OWM series; just in case you need in-wall/in-ceiling surround speakers to match your freestanding fronts. The round shape and flush-design allow the Polk Audio MC60 to mimic the look of a recessed lighting fixture. 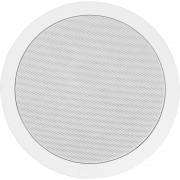 Each speaker requires a cutout diameter of 8.1875″ and a depth of 3.9375″ behind the drywall. Each speaker frame has a 9.1875″ diameter. Once the holes are cut, each speaker is placed in the opening and the Rotating Cams are tightened, allowing you to secure each speaker to the drywall without any extra assembly. The cam extends 1.75″ deep from the mounting surface of the speaker and will accommodate up to 1.5″ drywall thickness. When the cams are rotated, each extends 0.875″ beyond the 8.1875″ cutout diameter. 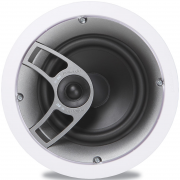 If you will not be mounting these speakers in drywall, make sure the wall or ceiling material can safely support the weight of the speakers before installation; each speaker weighs approximately 3.1 pounds. The grille and flange can be painted, allowing these speakers to match any decor.